deSIGNery Sign Company is a supplier of high quality screen printed White Opaque Vinyl Blackout Decals. We use UV inks for durability, long lasting vibrant colors and will hold up well under all weather conditions. Custom Opaque Vinyl No. 465 has the same great characteristics as our standard No. 488 White Vinyl with the added benefit of additional opaqueness. These custom opaque decals allow you to cover up existing copy and graphics easily and effectively, leaving no visible trace of the original imprint. Not sure if this product will work for you, click here for a free sample to test before ordering this product. We are confident that this indoor & outdoor blackout decal will work for you but you need test it for your particular situation. Check out our Spring Sale for savings on Indoor & Outdoor Blackout Decals and Custom Opaque Stickers in the following link. 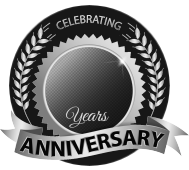 BBB Member since 2004 with a proven record of complaint free customer satisfaction on items like Indoor & Outdoor Blackout Decals. Click on the BBB logo above to check our record or leave a customer review. If you are in the market for Custom Opaque Stickers, give us a call today and you will soon realize why after 24 years we still have an A+ BBB rating! At deSIGNerySigns.com we have more than 24 years experience in designs for our Custom Opaque Stickers. Call us today and let our design specialists help create your next project to promote your product or business. 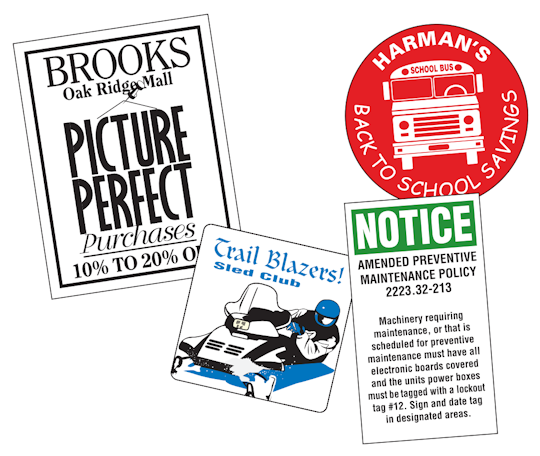 FREE Shipping on all decal and sticker products | Free layout | A+ BBB rating | 24 years in the business | Call Today for a free quote on Custom Opaque Stickers. Opaque White Vinyl is great for covering existing fleet graphics or permanent lettering on machinery or equipment. Do you have signs already printed and now the telephone company is changing your area code? Custom opaque stickers is the answer. We can match your existing font and color so that it will be hard to tell that a change was even made. Need to cover up old outdated information on your too expensive to replace sign, window graphics or vehicle wrap? This 3M blackout material is just the product needed for the job. We can match existing font styles and colors to cover up old info like web addresses and phone numbers with your new updated numbers and text.